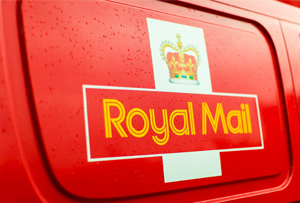 It's the news the government had been dreading: the Royal Mail did well in its first half. Really well. It’s not often Vince Cable hopes for bad news, but MT would imagine the business secretary, who was the architect of the Royal Mail’s IPO, had his fingers crossed for something a bit unpleasant when the company published its first-half results this morning. Alas: the figures showed operating profits had risen from £144m to £238m during the six months to the end of September, including a one-off VAT credit of £45m. Pre-tax profit more than doubled from £94m to £233m, while operating margin rose from 3.3% to 5.2%. There were some bumps in the road: there was a ‘slowdown in the rate of business customer acquisition in parcels’ because of the threat of service disruption by strikes (parceling up business customers seems a bit much, even if they haven’t paid full postage…). Taking into account that parcels now make up 51% of Royal Mail’s revenue (hence its slightly odd ‘we love parcels’ Christmas ad), that wasn’t great news. But even the decline of letter volumes – which has been steadily plummeting for years – slowed, from 9% last year to 6% this year. So things are going uncharacteristically well for the business: this morning’s results pushed share prices up by another 5.72% in morning trading to 566p, more than 71% above the 330p it originally floated at. Coincidentally (or not), this morning Cable, business minister Michael Fallon and William Rucker, the chief executive of Lazard (the investment bank that priced the flotation) appeared before MPs to explain, among other things, why the bank was priced so low.